The Volkswagen Karmann Ghia is a 2+2 coupe and convertible marketed from 1955 to 1974 by Volkswagen – combining the chassis and mechanics of the Type 1 (Beetle), styling by Luigi Segre of the Italian carrozzeria Ghia, and hand-built bodywork by German coach-builder Karmann. 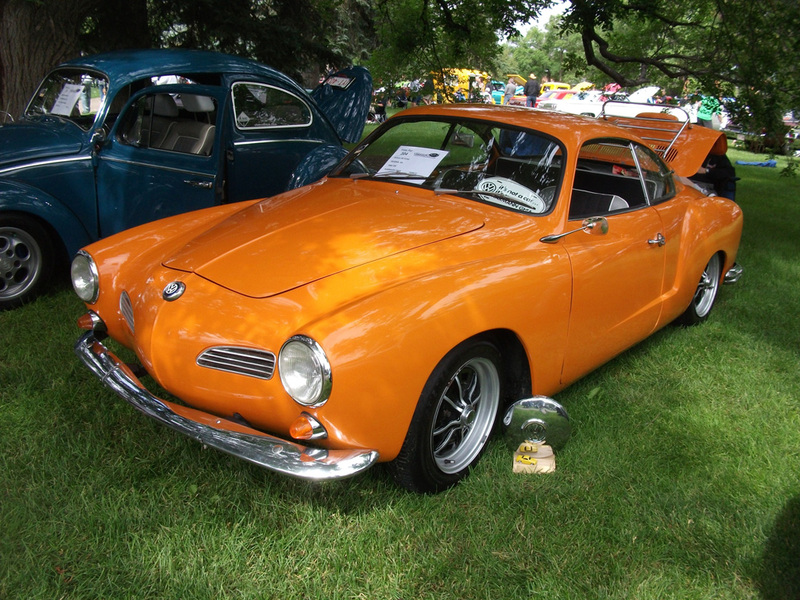 The Karmann Ghia was internally designated the Type 14. Volkswagen later introduced a variant in 1961, the Type 34 – featuring angular bodywork and based on the newly introduced Type 3 platform. Production doubled soon after its introduction, becoming the car most-imported into the U.S. American industrial designer Walter Dorwin Teague selected the Type 14 for his list of the world’s most beautifully designed products. Over 445,000 Karmann Ghias were produced in Germany over the car’s production life – not including the Type 34 variant. Karmann Brazil produced 41,600 cars locally for South America between 1962 and 1975.